So, what is the easy way to learn to play the blues? If you follow these three steps then you’ll be on the track to success in no time at all. The ability to play blues doesn’t just appear overnight. You must be willing to put in the hard work of practicing and research of the genre. Without the research you wont develop the passion thats essential for blues guitar playing. If you want to learn to play blues guitar many will tell you takes years of patient practice. While this can be true to actually master the style, you can get started making some great sounds really quickly with the right guidance. What most guitar books, magazines and DVDs don’t tell you is that if you focus on a few small areas you can’t fail to improve your abilities. Step 1: Learn to play the blues scale. This simple sequence of notes is what gives the blues it’s sound. It’s really simple to learn, you’ll be up and running within 10 minutes of learning the pattern. The letter’s above show you which strings to play and the number indicate which frets to put your fingers on. Make sure you play each note one at a time. Step 2: If you want to really play blues guitar then you have to learn some traditional blues licks. These are simple phrases written using the blues scale you learned it step one. 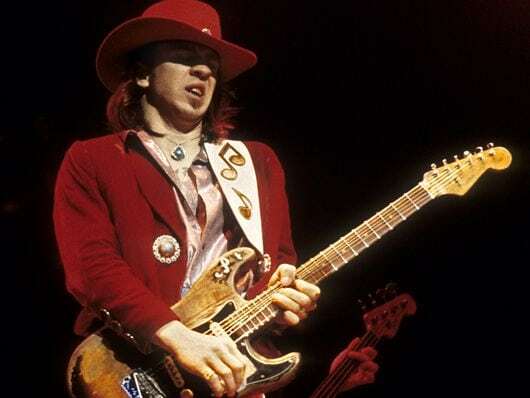 Instead of simply walking up and down the pattern, these will show you how to actually USE the blues scale to make the sounds people like Eric Clapton and Stevie Ray Vaughan do. Read on to find out where you can download tabs for some awesome licks to get you started. Step 3: Spend some time jamming the scale shape and your licks over some quality blues backing tracks. This is the fun part! 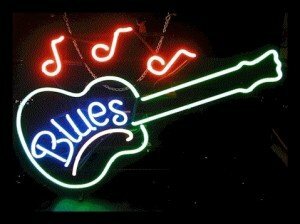 You’ll start to hear the sound of the blues as you practice these with a backing track. It might take a little time to get used to at first but the more licks you learn and the more familiar with the scale shape you get, the better you’ll get at playing blues guitar.